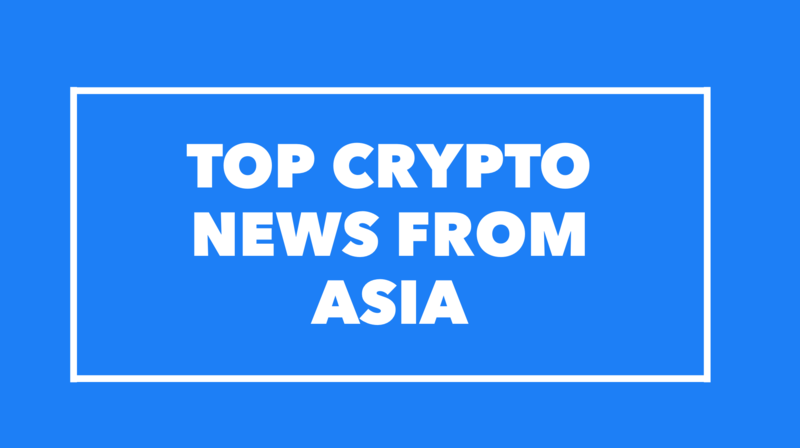 Top Asia Crypto News Roundup from Nov 29- Dec 1 – We help you think smartly about the crypto and blockchain landscape in Asia 5-10 years out. Separately, I will be moderating and spending several days at the World Digital Asset Summit in San Francisco from December 9th through 11th.Come talk to me about crypto and Asia, and meet all the other amazing speakers including Balaji Srinivasan and Lily Liu from Earn.com, Kyle Samani from Multicoin, Dawn Song from Oasis Labs, Avichal Garg from Electric Capital, and more. SV Insight Research’s and Dapp dot com latest report on the “State of the Dapps” show that Chinese developers are leading the decentralized app charts with their gambling dApps. ⭐Our latest podcast and transcript is out with Yusuke Obinata, aka Obi, founder of CryptoAge. In this episode, Joyce Yang from Global Coin Research is joined by Yusuke Obinata, aka Obi, founder of CryptoAge. Obi is deeply involved with the Blockchain community in Japan, and he has been helping multiple US blockchain projects go to market in Japan including Cryptokitties, Quantstamp, and Kadena. Through CryptoAge, Obi organizes frequent, large size developer meetups in Tokyo. He is also the lead organizer of NodeTokyo 2018, the first kind of blockchain developer conference in Tokyo. In this podcast, Obi and Joyce discuss the latest regulatory sentiment towards crypto in Japan, the growing blockchain developers ecosystem and how he advises projects in the US to go to market there. As mentioned last week, based on our reader feedback, we are introducing a new weekly series to contextualize and analyze the latest happenings in Asia. So far we have come up with 4 high-level topics, and every week we will be writing about one of these topics, and rotating through them in the following order.